Last week, we started our series, “The Grand Canyon: Activities and Attractions”. We introduced you to the National Grand Canyon and introduced you to various activities that you may indulge in while visiting the national park and educated you on a few of the most popular places of interest in the Grand Canyon. This week, as we continue this series, we are going to expound on the most popular lookout points in and around the park. It does not matter if you are looking for a place to propose, a place to photograph the Grand Canyon in all of her majesty, or plan on taking a helicopter tour over the National Grand Canyon, if you are visiting the area, you must be educated on what is considered to be the most favorite of all lookout points! Hopi Point – Located on the South Rim, this lookout point is an amazing destination for those that have an interest in watching the sun seemingly rise from the gorge and set deep beneath the natural rock and clay formations within the natural landscape. This is definitely considered to be one of the most popular and picturesque of all vantage points within the park. Lipan Point – According to tourists, this South Rim lookout point offers the absolute most spectacular of all the scenic vistas in and around the National Grand Canyon. You will get to personally witness a truly delightful tapestry of colors and unique textures. You will also have a wonderful view of the historic Colorado River. 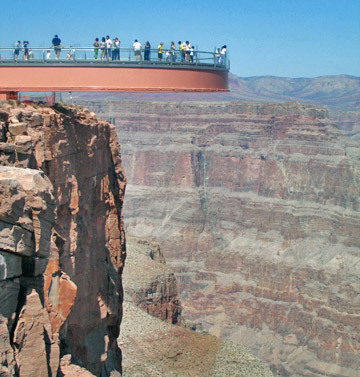 The Grand Canyon Skywalk – For a once-in-a-lifetime and thrilling experience, you must visit the Skywalk – Grand Canyon’s most popular lookout point. This is a u-shaped glass and steel structure and projects up 70 feet from the rim in which it overlooks. You will feel as if you are walking on air as you walk over the vast, expansive, and colorful Grand Canyon. As you can see, there are many spectacular activities and attractions that may be experienced at the National Grand Canyon. If you want to take a scenic trip, you may choose to hike through one of the many trails in the national park or ride on a boat down the long Colorado River. If you want a truly unique experience, you may take a mule ride or a horseback ride through the dusty landscape of the national park. 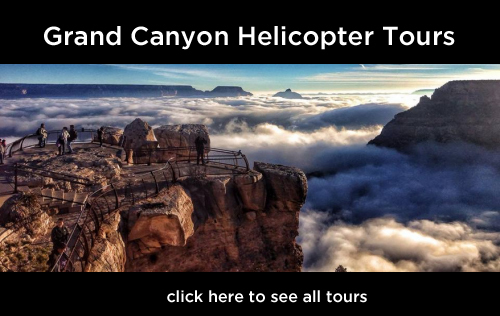 If you want a once-in-a-lifetime tour that will result in a lifetime of memories, you may even take a helicopter tour of the National Grand Canyon that comes complete with a special landing for a picnic and champagne – the choice is yours! For more information on experiencing the National Grand Canyon, click HERE.